We have the latest Swiss waterproof testing equipment to pressure test watches, while you wait, in our branches. We highly recommend having your waterproof and water resistant watches pressure tested when changing batteries. 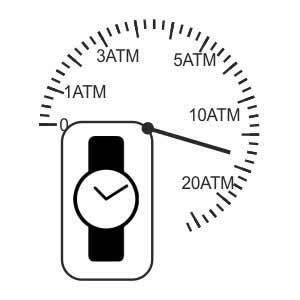 If you require this service, we will pressure test your timepiece first to confirm that the marked specifications on the watch are correct. 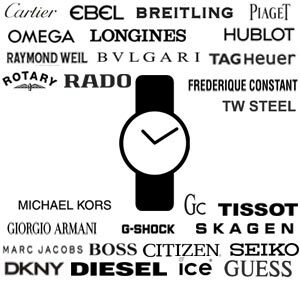 The specifications that are written on watches always indicate the condition at the time of purchase. Depending on personal use and aging of gaskets these specifications may be decreased. For us to guarantee that your watch will be waterproof after the battery change, it has to be waterproof to start with. The water resistance of a watch depends on the condition of the case, the back, the crown and pushers, the glass, gaskets, and seals. If the test results match the marked specifications then we will proceed with the battery change. If the test results do not match the marked specifications (these are stated on the watch) we will ask for your consent to proceed with the battery change. After changing the battery, we will seal the back of your watch and the other gaskets and pressure test it again. We guarantee that the second pressure test results, after the battery change, will be either the same as the first reading or will show improvement. 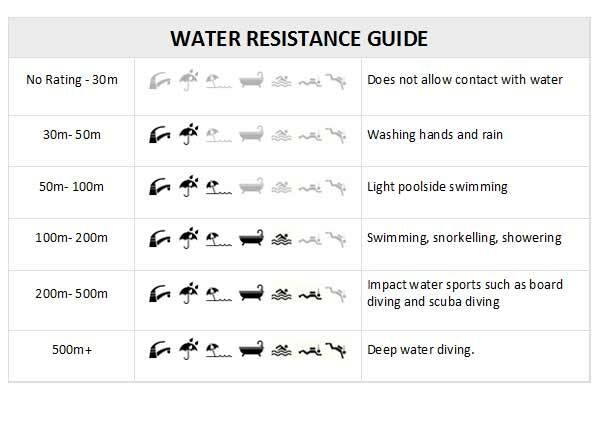 Even though your watch is tested and certified as water resistant up to a certain level of pressure, it is still your responsibility to ensure the crown of your watch is not pulled out and is fully secured before any contact with water and not to activate the push buttons for the chronograph function etc. when in the water. We recommend that you do not shower or swim with your watch unless it is specified water resistant up to 100m and has a screw-down crown. After swimming, make sure to rinse your water-resistant watch in fresh water so as to neutralize the harmful effects of sea-water or chlorine. Also, your watch must not be exposed to rapid extreme temperature changes such as plunging into the cold water pool in a sauna. Rapid and sudden pressure change, for example by jumping into a swimming pool, is another cause of decreased water resistance. And finally, your watch should not come into contact with corrosive chemicals including highly chlorinated water. Pressure testing at Watch Surgery is offered at a small additional charge. It is your responsibility to ask for this additional service. For your peace of mind, Watch Surgery gives one year guarantee for any battery we replace with your proof of purchase. We only use Swiss watch batteries which are guaranteed to have a long lasting life.